Leave the hassle to us and order your groceries from your computer, tablet, or phone with Sam & Sam Meats Online Powered by Rosie. Click the button below to get started! 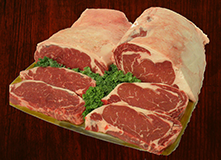 Sam & Sam Meats has been in business for 30 years. 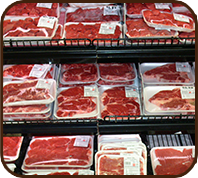 Our store is a one stop shopping experience for all your Meat & Grocery needs. Our mission is to provide a grocery store that represents our core values: freshness and quality, value pricing, friendly service and selection. Being a responsible member within our community, we treat our customers and employees as valued members of our family. 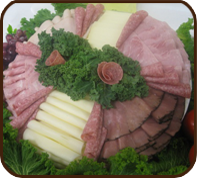 We have a large variety of Fresh Meats, a Full Service Deli Department, Produce, Grocery, Dairy, and Frozen Food products to truly make this a "ONE STOP" grocery experience. Did you know, you can place Deli / Produce orders in the "Contact Us / Orders" section? If you choose to order over the Internet, please follow up with a call to the store to make sure your order was received. 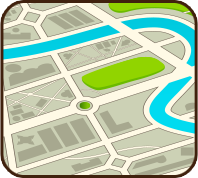 We are located in the Upland Shopping Center, 851 Upland Avenue, Upland, PA 19015. Uncertain of how to get here, visit the “DIRECTIONS TAB” at the bottom of the page for detailed driving instructions. Reward Cards are now available at Sam & Sam Meats. Sign-ups are available at the registers. We have changed our Rewards Program effective February 1, 2019. Our new program will reward a $10.00 off certificate on all purchase of $100.00 or more. The Redemption period will be from the 20th of each month through the 5th of the following month. Some exclusions may apply. Redemption will require a minimum purchase of $30.00 and limit 1 coupon per order.